A visit to a home match of AC Milan is a must for every real football fan. Many famous players have worn the classic black and red striped kit. Associazione Calcio Milan commonly referred to as A.C. Milan or simply Milan, is a professional Italian football club based in Milan, Lombardy, that plays in Serie A. Milan was founded in 1899 by English lace-maker Herbert Kilpin and businessman Alfred Edwards among others.The club has spent its entire history, with the exception of the 1980–81 and 1982–83 seasons, in the top flight of Italian football, known as Serie A since 1929–30. With 18 officially recognised UEFA and FIFA titles, they are the fourth most successful club in the world in terms of number of international titles, together with Boca Juniors and Real Madrid, and behind Al Ahly with twenty titles.Milan has won a joint record of three Intercontinental Cups and one of its successor, the FIFA Club World Cup. Milan have also won the European Cup/Champions League on seven occasions, second only to Real Madrid.They have also won the UEFA Super Cup a joint record five times and the Cup Winners&apos; Cup twice. 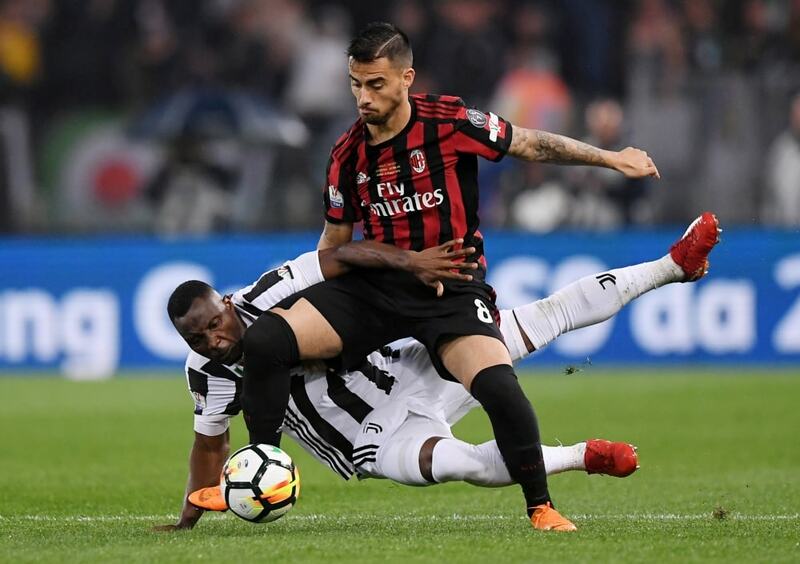 Milan has won every major competition in which it has competed, with the exception of the Europa League (in this competition they have lost two semi-finals in 1972 and in 2002). 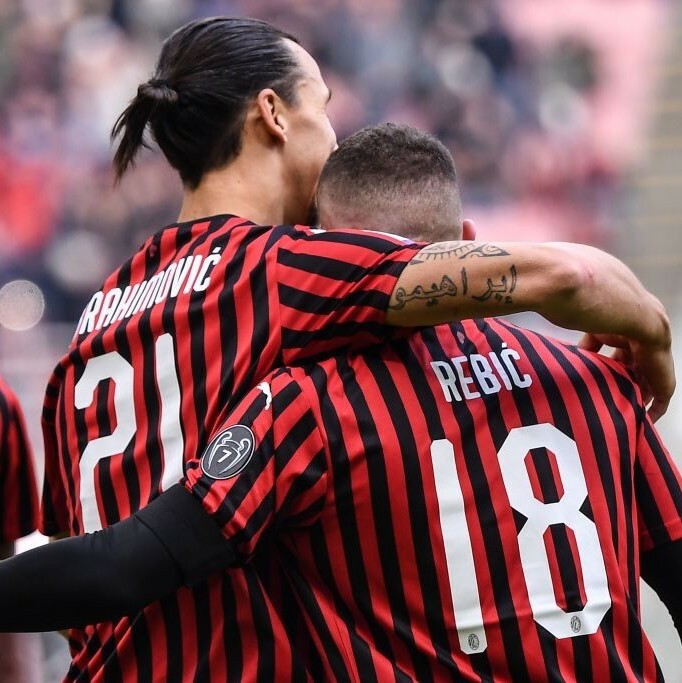 Domestically, with 18 league titles Milan is the joint-second most successful club in Serie A behind Juventus (33 titles), along with local rivals Inter. They have also won the Coppa Italia five times, as well as seven Supercoppa Italiana triumphs. 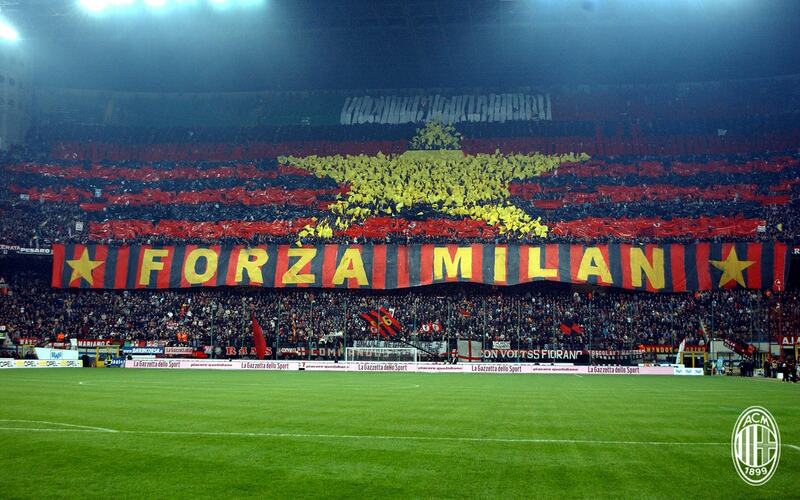 Milan&apos;s home games are played at San Siro, also known as the Stadio Giuseppe Meazza. The stadium, which is shared with long-lasting city rivals Internazionale, is the largest in Italian football, with a total capacity of 80,018. Inter are considered their biggest rivals, and matches between the two teams are called Derby della Madonnina, which is one of the most followed derbies in football. As of 2010, Milan is the third most supported team in Italy, and the seventh most supported team in Europe, ahead of any other Italian team. The former owner of the club was former Italian Prime Minister Silvio Berlusconi. who owned the club for 31 years The club is one of the wealthiest and most valuable in Italian and world football. It was a founding member of the now-defunct G-14 group of Europe&apos;s leading football clubs as well as its replacement, the European Club Association. Milan is one of the best supported football clubs in Italy, according to research conducted by Italian newspaper La Repubblica. 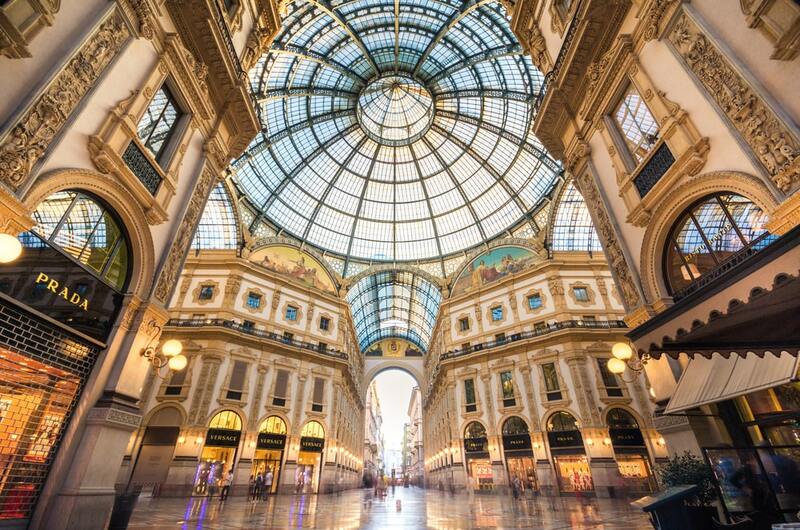 Historically, Milan was supported by the city&apos;s working-class and trade unionists. On the other hand, crosstown rivals Internazionale were mainly supported by the more prosperous and typically Milanese middle-class. One of the oldest ultras groups in all of Italian football, Fossa dei Leoni, originated in Milan. Currently, the main ultras group within the support base is Brigate Rossonere. Politically, Milan ultras have never had any particular preference, but the media traditionally associated them with the left-wing, until Berlusconi&apos;s presidency somewhat altered that view. According to a study from 2010, Milan is the most supported Italian team in Europe and seventh overall, with over 18.4 million fans. 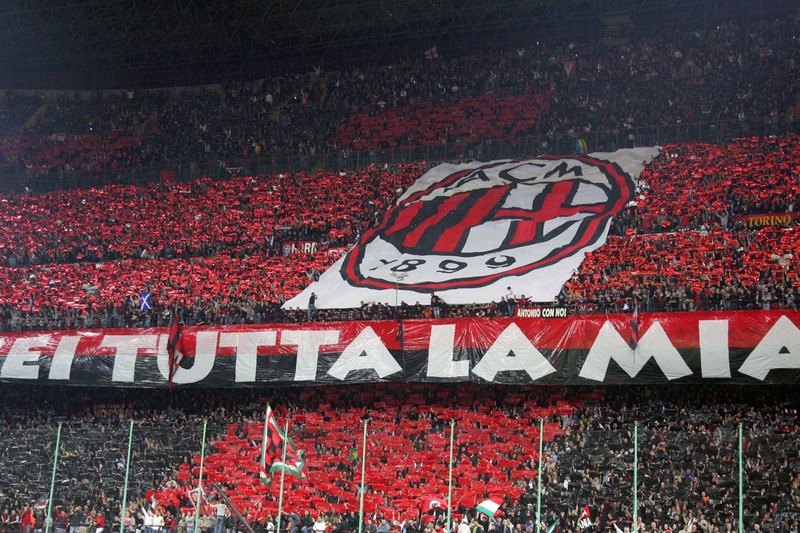 AC Milan had the ninth highest average attendance of European football clubs during the 2010–11 season, behind Borussia Dortmund, FC Barcelona, Manchester United, Real Madrid, Bayern Munich, Schalke, Arsenal, and Hamburg. Genoa fans consider Milan a hated rival after Genoa fan, Vincenzo Spagnolo was stabbed to death by a Milan supporter in January 1995. However, Milan&apos;s main rivalry is with neighbour club, Internazionale; both clubs meet in the widely anticipated Derby della Madonnina twice every Serie A season. The name of the derby refers to the Blessed Virgin Mary, whose statue atop the Milan Cathedral is one of the city&apos;s main attractions. The match usually creates a lively atmosphere, with numerous (often humorous or offensive) banners unfolded before the start of the game. Flares are commonly present and contribute to the spectacle but they have occasionally led to problems, including the abandonment of the second leg of the 2004–05 Champions League quarterfinal match between Milan and Inter on 12 April 2005, after a flare thrown from the crowd by an Inter supporter struck Milan keeper Dida on the shoulder. This was my first trip abroad in 17 years so had been a little apprehensive but the organisation (accommodation, flights, match tickets) was excellent. Unfortunately we were a little let down by Easyjet but getting around Milan once we got there was so easy. The Metro is excellent! As for the San Siro, what a magical place to watch football! Great seats, fantastic armosphere and a 5 goal thriller! Just watch out outside the stadium for Aftricans touting wristbands - we certainly were ripped off! We also had time in the city around Duomo and it is all pretty spectacular. So in spite of Easyjet and the weather, my son Jamie and I had a really good time. Watching football at the San Siro is really amazing, so glad we made the trip. Tip: Metro is so easy to use and such good value. As i said though just be careful to look out for a few dodgy peddlers around the stadium. was very happy with the service and customer service and will be returning again next year to book a few more trips with my partner coming with me. I have used Football Breaks a few times in the past few years and have always had a great experience. They were top again with everything as the game got moved only a few days before kick off and the tickets were going to be delivered to the hotel but in the end they sent us e tickets. Any query i had they responded to straight away! The Hotel was a 4 star we picked which was very good. The game was a great 0-0 with chances for both sides and a last minute from Donnarumma which was awesome to see live and the fans reaction. At the end Donnarumma chucked his shirt and shorts in crowd. The atmosphere was absolutely amazing and so loud as we was in the Ultras section one of the best and passionate about. I had been to the San Siro before a while back for the tour but to actually watch a game was so good vs a great team in Napoli. We made the experience better to feel part of it by buying a AC Milan shirt and scarf to fit right in. Forza Milan! Football Breaks yet again deliver each time for a Football weekend abroad without any hassle!" Tip: Purchase a day ticket for the tram / metro / bus. Only costs €4.50 Used it to get from the hotel into Milan City Centre and also to the San Siro. Limited time for sightseeing, take the Hop-On/Hop-Off Open Top Bus from near Milan Cathedral. 1 ticket covers all 3 routes. Brilliant trip. Correspondence with Football Break prior to, the information they gave us, the price and atmosphere at the San Siro were all absolutely spot on. Would highly recommend. Tip: Get to the stadium early and spend time having a couple of beers outside and taking in the atmosphere with the locals. Booking with Football Breaks for the first time I was obviously concerned. I hadn’t heard of them previously but the deals on the website were easy to negotiate and so decided to give it a go. Right from the booking, everything went very smoothly! Payments were taken in two instalments and information was sent out around 2 weeks before the departure. Everything was booked and very easy. Flights were smooth, transfer from Milan Airport was simple via train and underground however there was a shuttle bus available which we used on our return. There was very little around the area, so you did need to go searching for a pub and food. The hotel was basic but certainly served our needs and the reception were always very helpful with directions and modes of transport. The atmosphere at the San Siro was excellent and our seats couldn’t have been any better on the half way line 2nd Tier 3rd row! There are plenty of food options and merchandise stalls around the ground. There are also plenty of things to do in the city. I recommend a trip to the canals in the evening where there are plenty of places to eat and drink and sightseeing at the Duomo! All in all, a superb trip, excellent value for money and we will 100% be booking with Football Breaks again for next seasons adventure.. The package for this trip was a reasonable price considering we had upgraded our seats to category 2 for the Milan derby. The flights, hotel and tickets were all sorted via football breaks leaving us with no hassle. As we didn&apos;t have any queries we didn&apos;t really need football breaks services, but what they did ensured everything ran smoothly! The tickets were sent for us to print which made the stress go so we could fly to Milan knowing we have everything. The game itself was wonderful and despite Ac Milan losing the atmosphere and seats were phenomenal, as someone who has been to a lot of big European games this was by far the best. The hotel was really good for a 3 star and felt more like a 4 star. The train down from the airport to the area of our hotel (Mosocva) was a beautiful 30 minute train ride which only cost 13 Euros a ticket. The area of the hotel was only 15 minutes from Duomo by tube and this was so easy convenient and fun. The San Siro was 20 minutes away and this journey was also fun! The Italian people and the tourists were so nice and everything gave a good vibe. The area itself we stayed in was very upmarket and had a great feel about it and the tube metro was literally a 3 minute walk away. Its crazy how everything in this trip fell perfectly. Milan itself is a wonderful city, I highly recommend taking a tour around the grande Cathedral in Duomo which costs 13 euros and is amazing. The shopping centre full of high expensive end stores is right next to it and that itself is an amazing experience. If you want to feel inspired by life and motivated, heading the Gucci store and chill in the inside of the &apos;mall&apos; Overall, we had a great time, football breaks did everything we could ask for and as a first time user, I&apos;m sure to use them again in the future, God willing. Milan is an amazing place and the San Siro is an amazing stadium. Would highly recommend anyone to have a stay here. Extra tip! Stay 4 nights as 3 nights doesn&apos;t feel enough in this amazing city! Tip: Buy the one or 2 day metro pass for 8 euros, allows you to travel around the metro. So cheap and useful.